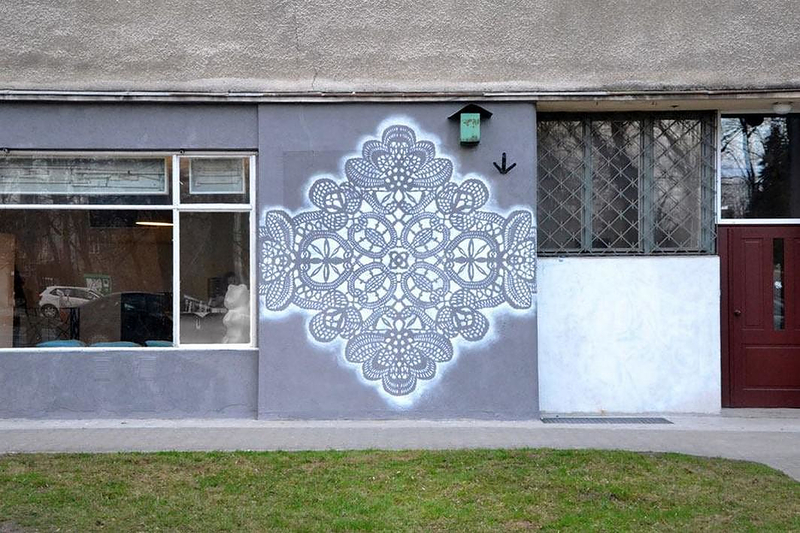 HomeBlogArtLace Street Art by NeSpoon. 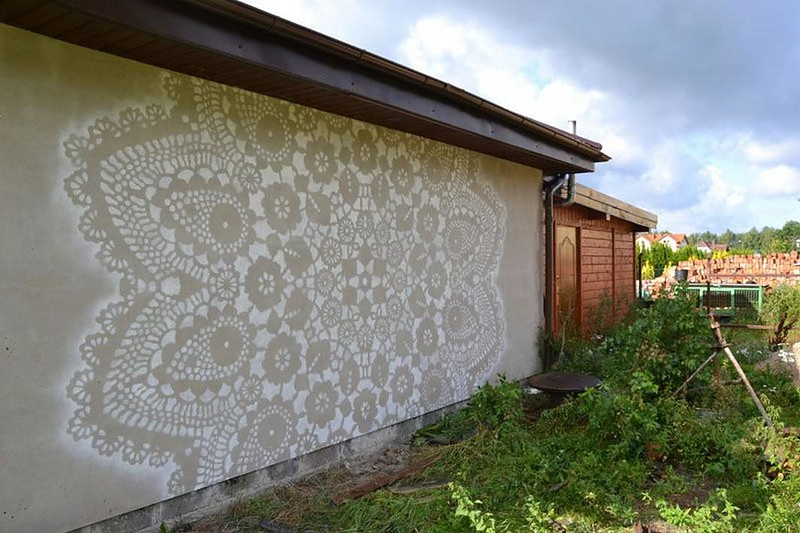 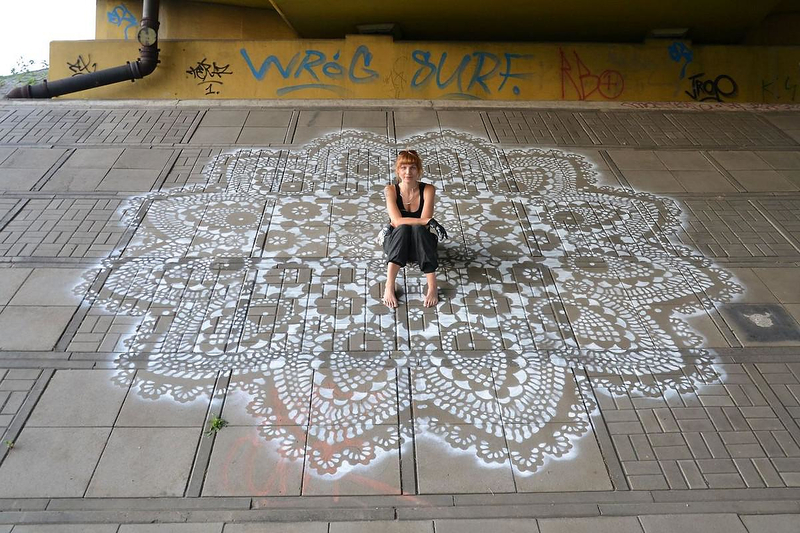 Polish street artist NeSpoon impresses with her innovative lace street art pattern found in the most unexpected of places! 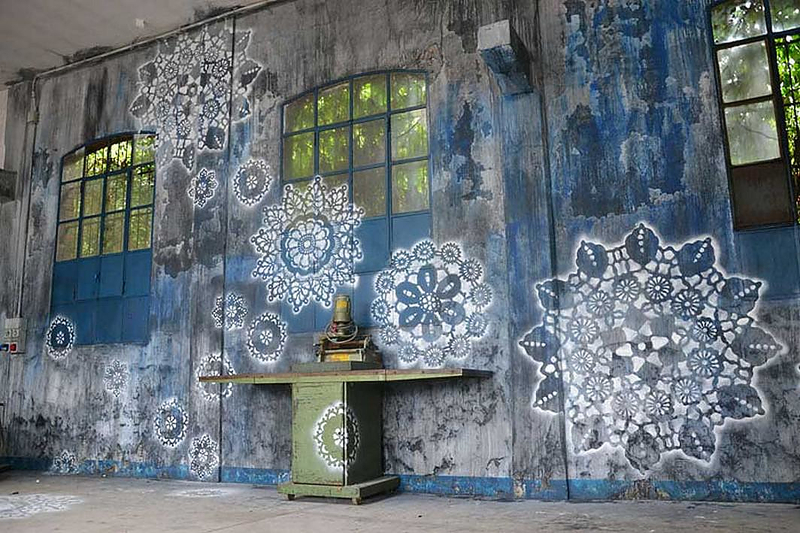 The lace pattern NeSpoon choose is an old, almost obsolete, decorative motif that contradicts the modern and contemporary graffiti and street art designs we are all accustomed to. 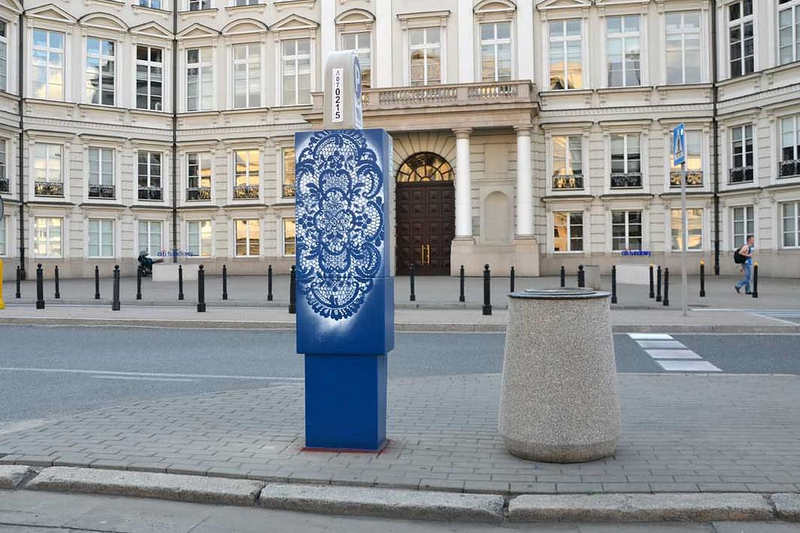 NeSpoon adds freshness to street art in an old-fashioned way! 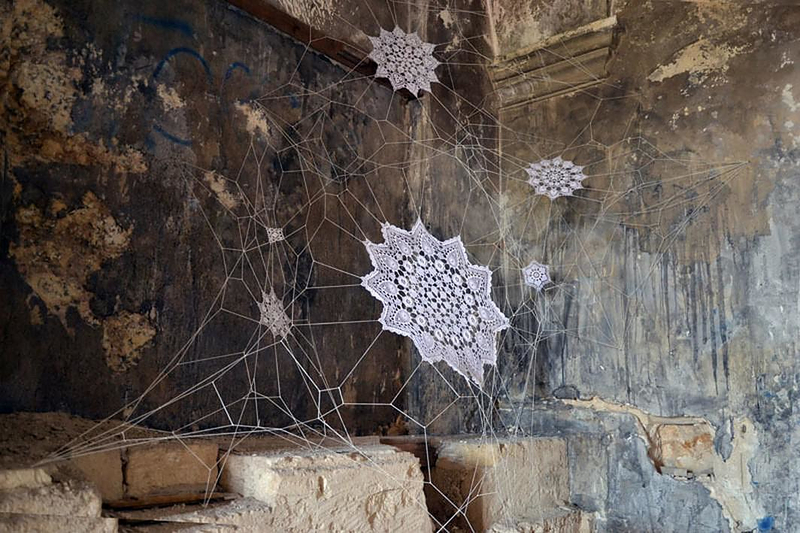 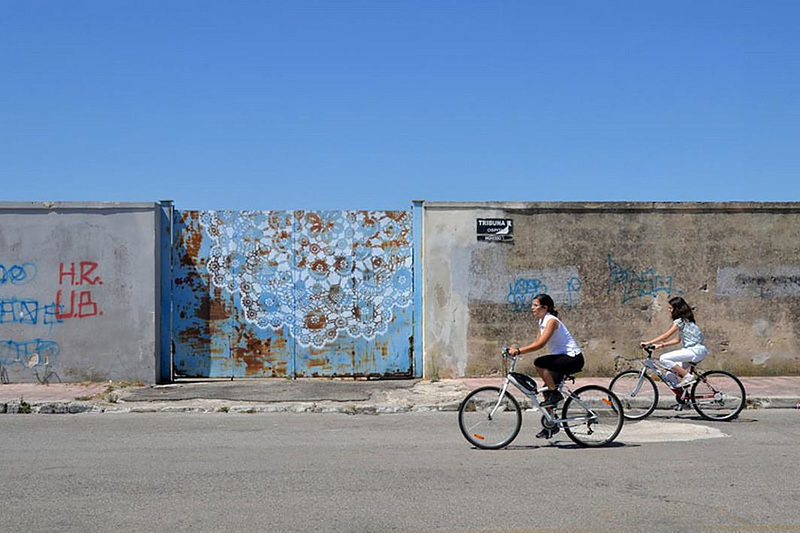 NeSpoon decorates urban streets, pavements, walls and urban furnishings with her sprayed-on lace patterns. 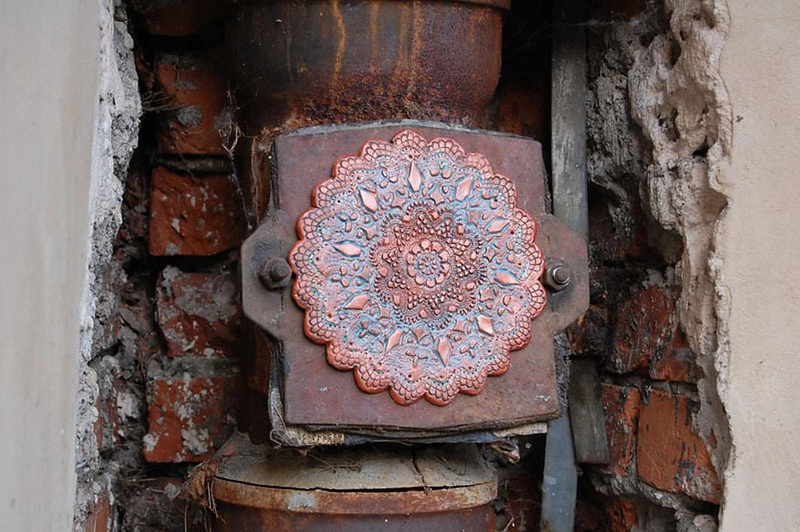 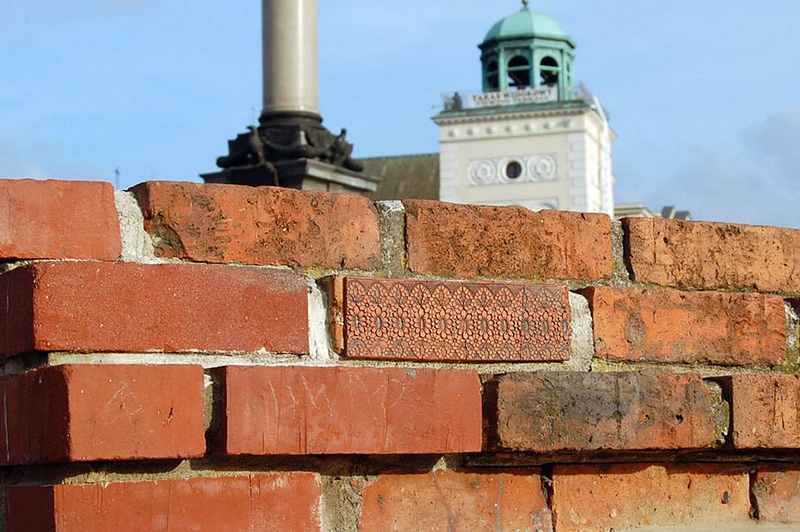 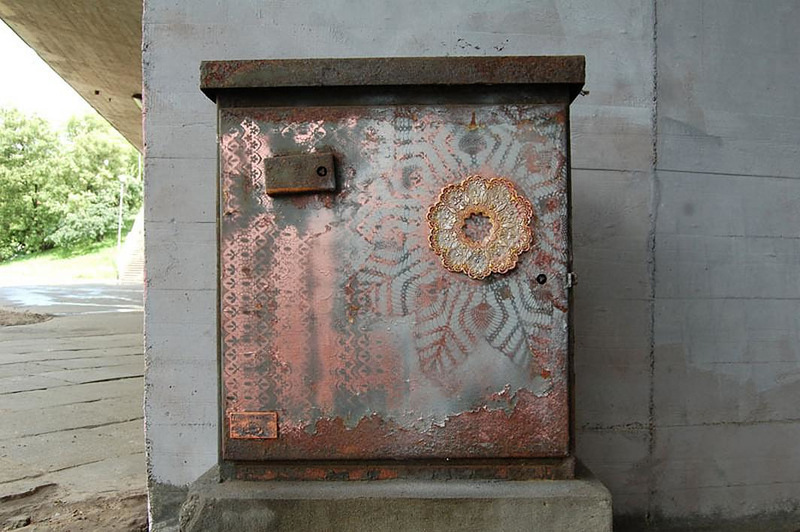 Her creativity does not limit itself to stencils; she casts her lace decorative pieces of art on concrete and ceramic blocks that she calls “urban jewelry”. 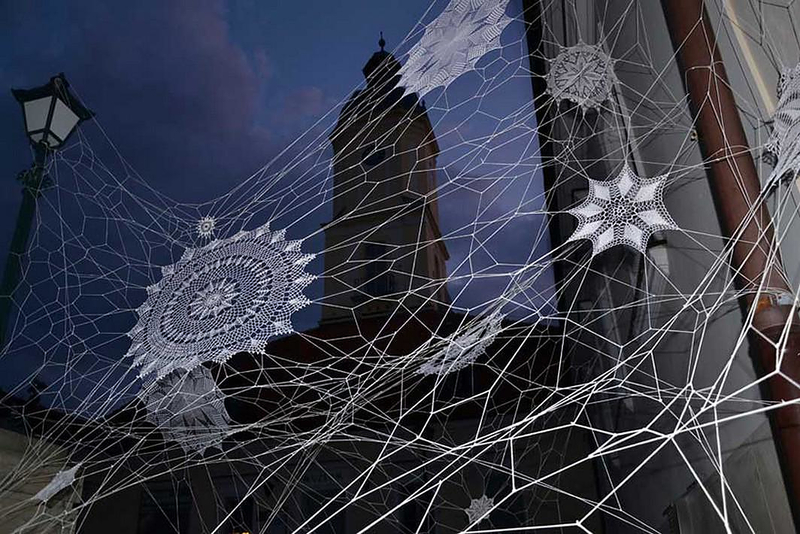 NeSpoon also uses crocheted lace motifs on 3D installations that look like cobwebs and nets. 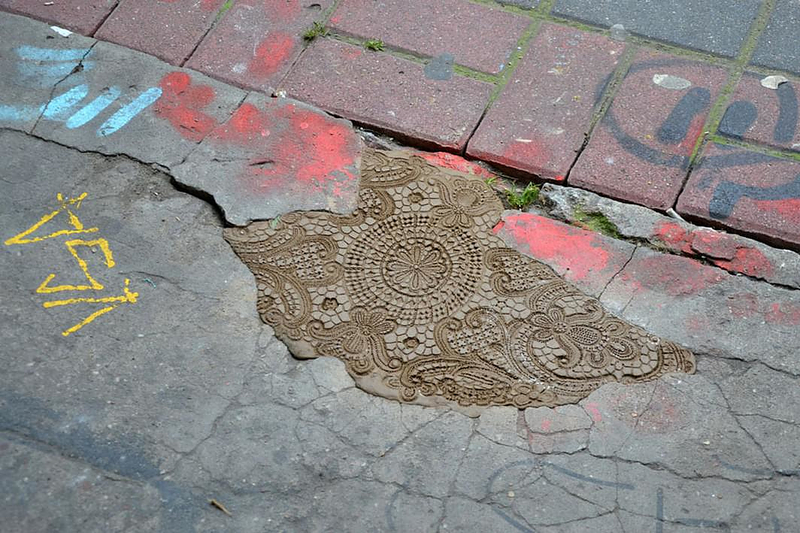 She calls her lace street art project “City Décor”. 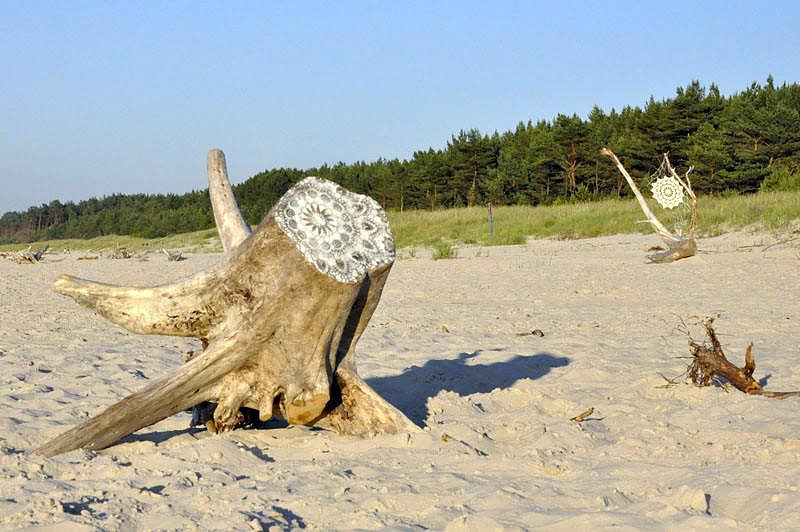 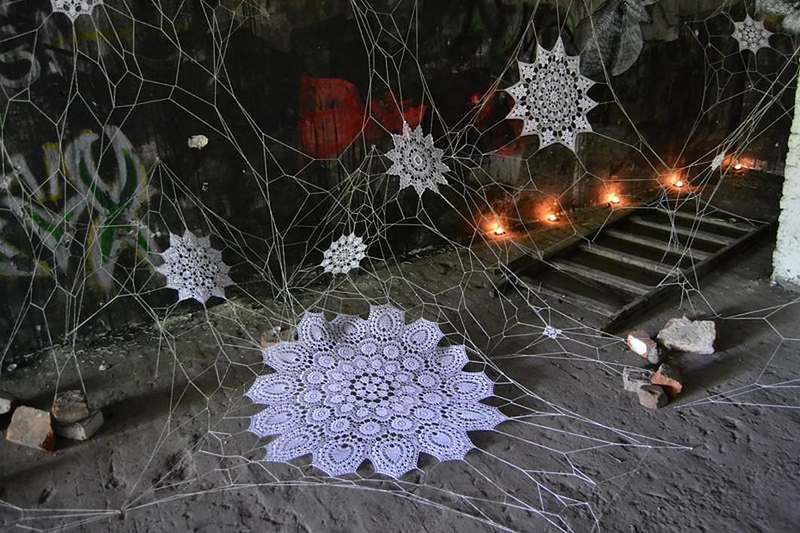 Most of her lace street art can be found in the streets of Warsaw and she has also installed some of it on trees and driftwood parts in the Oak Beach (Baltic sea). 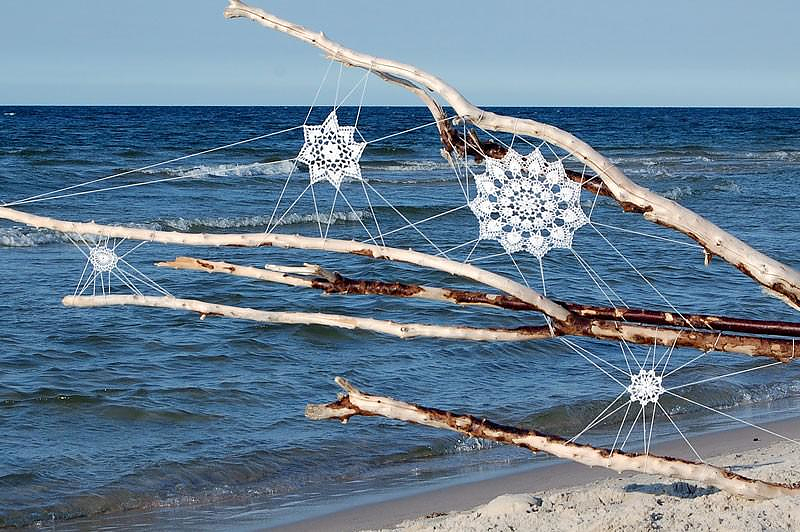 Naturally, her projects do not usually last long, especially the ones on the beach that lasted one week the most, before the sun, wind and sea salt fade them away. 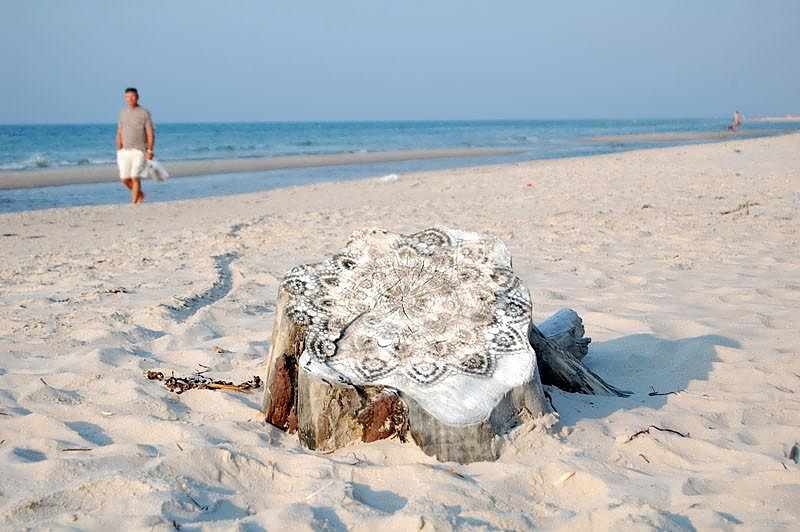 The crocheted pieces of fabric were soon reclaimed by visitors and campers of the beach, hopefully after they were torn away by the elements as well. 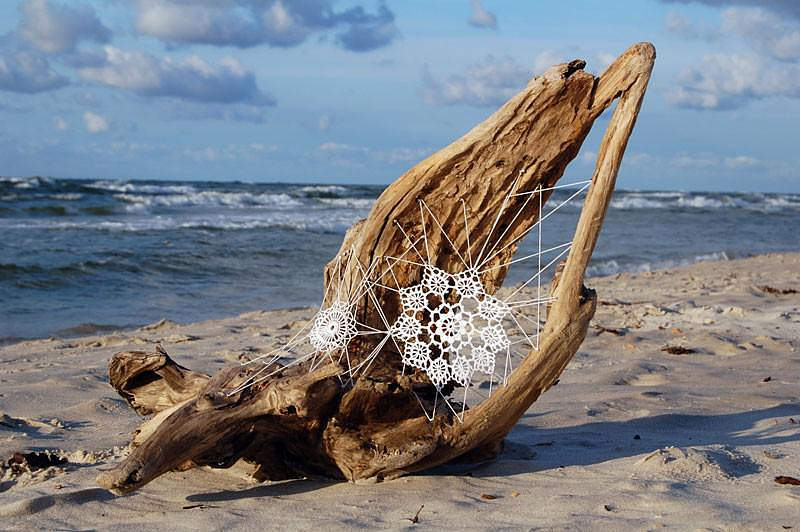 No matter how long they last, NeSpoon’s creations fulfill their goal: they draw the attention to the beauty that lies within the most unexpected of places. 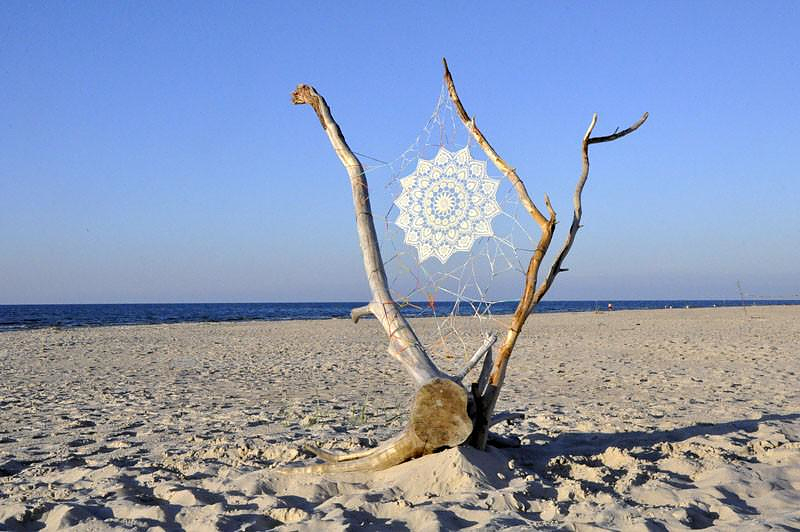 That is the beauty that hardly ever one notices. 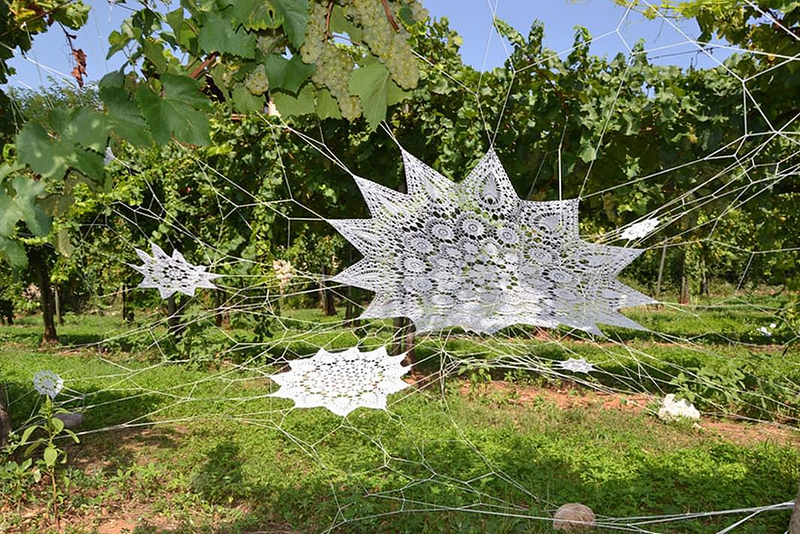 When not accentuated by NeSpoon’s lace patterns that is.